The psychotic drowns while the mystic swims. Very few films made these days can capture the feel of a true midnight movie/grindhouse film. Fewer still are able to capture the aesthetic of a prog-rock album cover or the artwork on an old fantasy paperback. I’d be hard-pressed to name one movie that can encapsulate all of that. It’s been eight years since director Panos Cosmatos’s previous film, Beyond the Black Rainbow, which was an instant-classic sci-fi horror. It took a long time to get there, but now he’s two-for-two. Aaron Stewart-Ahn’s script gives Mandy a relatively more straight-forward plot to follow than Black Rainbow, but it has lots of opportunity for Cosmatos’s striking colours and visuals. The movie takes place in 1983 near the Shadow Mountains of eastern California. Red Miller (Nicolas Cage) is a lumberjack who lives with his girlfriend, Mandy Bloom (Andrea Riseborough), in a quiet, isolated cabin. Both characters seem to be winding down after more wild years, content to be with each other. They talk about dreams and stars and Mandy’s art. They watch TV in each other’s arms, they sleep in a sunroom jutting out from the house and into nature itself. We’re never shown the lives they’ve lived apart from each other. The quality of the acting from Riseborough and Cage, and the canny character designs — like Mandy’s facial scar, old baseball tee’s — give us everything we need to understand who these people are. 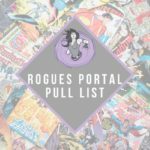 Unfortunately, their time together is interrupted when Mandy catches the eye of Jeremiah (Linus Roache), an insecure and seemingly past-his-prime cult leader. He decides that he needs Mandy. He sends his small cult of worshipers and an otherworldly trio of bikers, the Black Skulls, to get her for him. 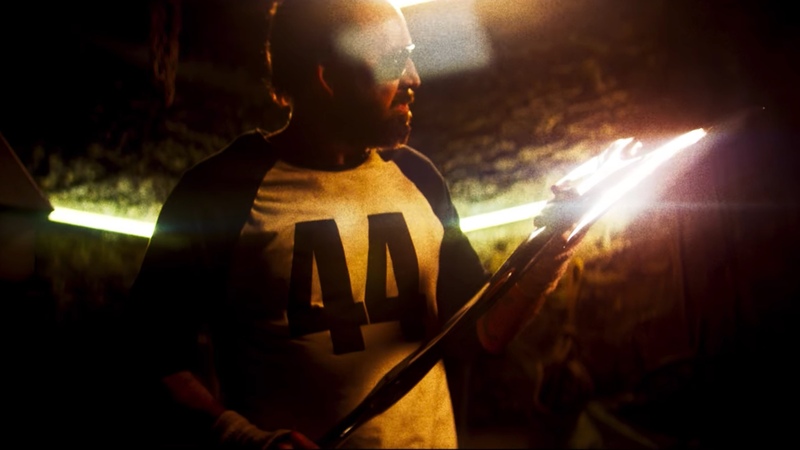 Mandy is just over two hours long, and it doesn’t turn into a more action-packed revenge horror until the second half. 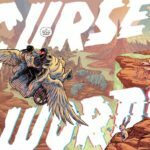 A lot of people might be turned off by the methodical visuals and quiet philosophizing between Red and Mandy in the early-goings. It really helps to paint a picture of who these people are and how devastating it is when Jeremiah smashes into their lives. Nicolas Cage gets to display a lot of his strengths as Red. He swings from the sad and subtle “I’ve lived a tough life” internalization of Joe to the wild, bug-eyed, ferality of Bad Lieutenant: Port of Call – New Orleans. And the transition makes perfect sense. It helps that he’s supported by Riseborough. She has an ethereal quality, and you can tell that Cosmatos’s camera is just drawn to her. But she isn’t an angelic, idealized, Mandy Pixie Dream Girl. She’s a well-realized person with an implied history and a strong relationship with Red. The cult is full of interesting details. Jeremiah has about five die-hard members. Everyone seems like they’re the last holdouts of a much more robust collective from the ‘60s or ‘70s, which was probably a rosier time as far as cults go. Linus Roache plays Jeremiah perfectly. He has a sleazy charm, but by this point, he’s mostly insecure and pathetic. He’s a petulant child that’s past his prime, no matter how much he pontificates. 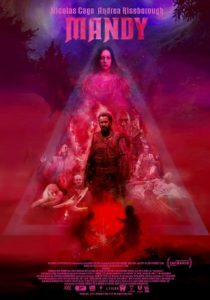 The best thing about Mandy is that it’s unashamedly a grindhouse film without any detached irony. Because the characters are so good and the visuals are so mesmerizing that it makes perfect sense that Red would forge a metal — in all senses of the word — axe or get in a chainsaw duel or descend into a neon red pyramid church on his journey for vengeance. The fact that there are warped bikers, whose monstrous designs are like something out of Hellraiser, is easily explained by tainted acid. I bought it completely! Because just like Beyond the Black Rainbow is about Alice escaping Wonderland, Mandy is a twisted fairytale. Verdict: Watch this movie! This movie has a Cheddar Goblin in it, which I won’t spoil for you. If that didn’t sell you completely, it also has the final film score of the late Jóhann Jóhannsson, and it’s a perfect match for the material and a beautiful legacy. Mandy is overloaded with rich imagery and rich performances and the exact right amount of schlock. It is absolutely one of the best movies of the year. I just hope that Panos Cosmatos doesn’t make us wait eight more years for a follow-up.